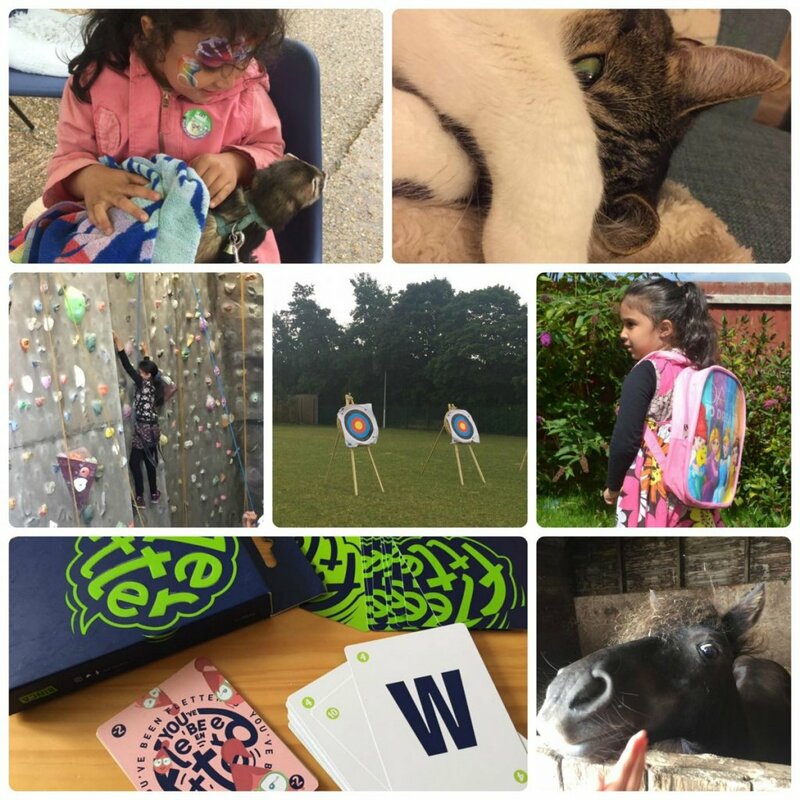 Day 204 – A trip to Woodgreen Animal Shelter for their fun day. Girls managed to have a go at walking the ferrets. One tried to go up Bee’s jacket but she thought it was pretty funny! Day 205 – A quiet day as weather weren’t so good. A local muslim organisation has organised lots of activities for the kids over the summer and the eldest went off to try archery in the afternoon. Didn’t take a picture today except of the cat chilling in the evening. Day 206 – Another activity the eldest got to try was wall climbing. I got to stay and watch and looked so much fun. Then in the afternoon the whole family went to Leicester to eat out. Day 207 – Another quiet day to be honest. Eldest went to her archery in the afternoon. She almost didn’t go as she only got one go on Monday but this time she came home really excited that she got about 6 goes and couple went in the middle. I started feeling rough…coming down with a cold. Day 208 – Not feeling great but had to take dad to the hospital for his consultant appointment. They were running behind and we ended up waiting over an hour to be seen. Dad is currently stable, just have to keep having regular blood tests. Tried to get some blog stuff done in the afternoon. Worked on a Disney Backpack review. Day 209 – Still feeling rough….. so another quiet day. Have a game to review so checked that out today. Review will be on the blog soon. One of our goldfish died! Day 210 – Took our last remaining goldfish and gave it away to someone with a bigger tank so now we are fish less. Feeling really rough but had to collect eldest from horse riding…said a quick hello to a couple of the ponies. That climbing wall looks fantastic fun. She is way braver than I am. Archery is so cool. Would love to give that a go again. We love climbing walls and they’re a lot of fun, even for adults. We’ve not been to Leicester in sooo long. I feel like I should pop there soon to see family. Hope you’re enjoying the holidays! Sorry to hear you haven’t been feeling great this week. Hope you feel better soon! Glad the second go at archery went better and pleased to hear your dad is stable now. Hope you are feeling better soon. Ferret walking sounds fun – never seen it offered near here. Nice that there are Summer activities locally for your daughter to go to. Sorry to read you are not feeling well but glad to read your dad seems stable at the moment. Ferrets make great pets of handled daily.